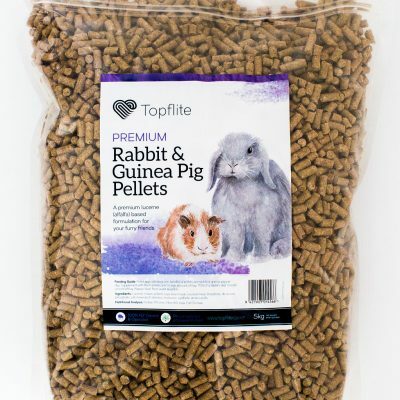 Rabbit & Guinea Pig Pellets | Topflite Ltd. 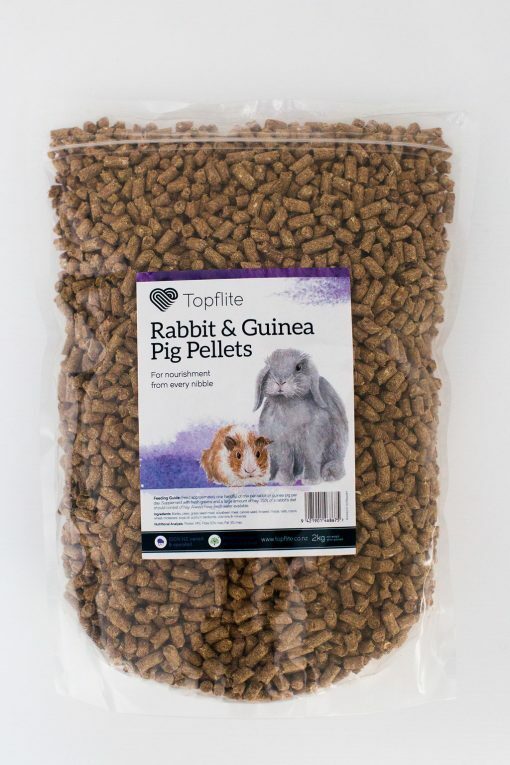 These pellets are specifically designed for growing and breeding rabbits & guinea pigs. 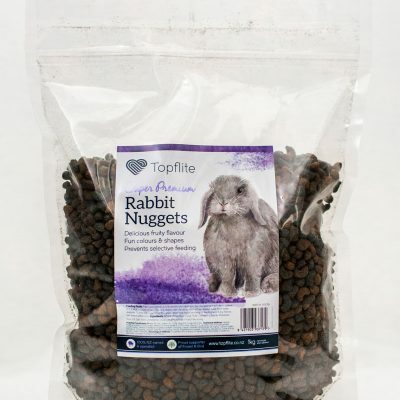 Ingredients: Barley, Peas, Grass Seed Meal, Soya Bean Meal, Canola, Linseed, Maize, Oats, Copra, Wheat, Wheat by-products, Molasses, Soya oil, Sodium Bentonite, Minerals and Vitamins. Protein 14%, Fibre 10% max, Fat 3% max. 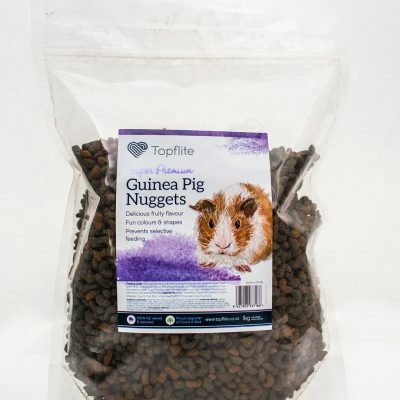 Available in: 20kg, 10kg, 5kg (4 per box), 2kg (6 per box).